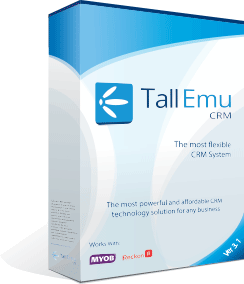 Tall Emu CRM allows literally thousands of KPI reports to be created, measuring every element of the CRM. Using many pre-defined KPI Templates, you can easily measure every aspect of CRM from activities such as calls, quotes, sales and more. Our simple click and set KPI system allows you to easily define your own reports, as well as have them automatically emailed to you on a schedule. If your CRM has been customised to add new data structures, it is straightforward to generate new KPI rules to measure them. Measure by count or value. 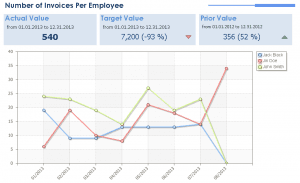 Automated chart per target item (in this case, employee) created. This KPI measurement demonstrates the use of a pie chart, plus the limiting to the top “X” results. 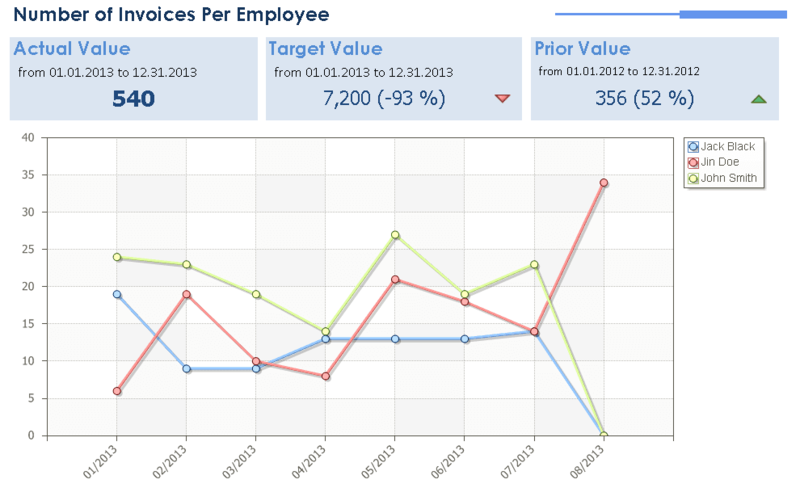 On the chart below, we’re showing the top 4 sales persons, with the remaining sales added to the “other” segment.